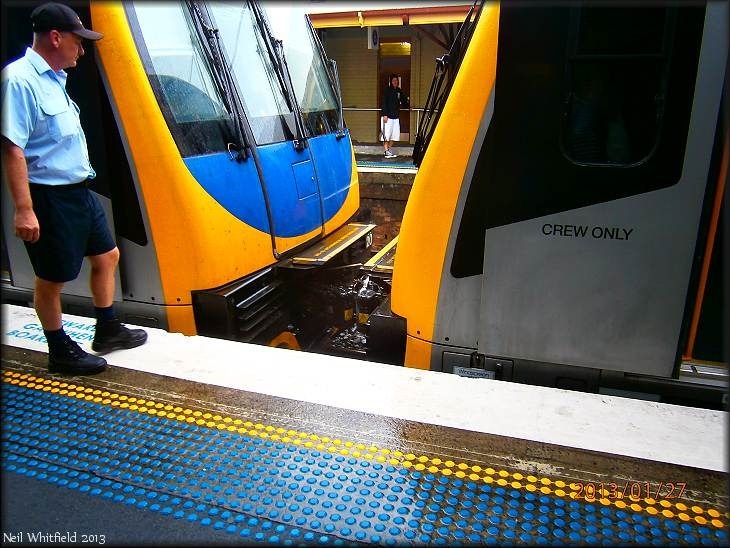 A regular complaint from travellers between Wollongong and Sydney is that out trains come in four car sets, which can lead to some uncomfortable overcrowded journeys. But they have been listening, it appears. Joining two sets to make 8 cars to Sydney on Sunday morning. The 5.30 pm express back was 8 cars as well. For some shots of the journey up see To Sydney as the wet approaches–pinhole shots. Yes is was moderately wet pretty much all day. After visiting M in East Redfern, I bussed to Kingsford then walked to Daceyville. The Daceyville photos will be on the photo blog tomorrow. Thus to Jim Belshaw’s. Yesterday Neil Whitfield and Winton Bates came to lunch, the first time Winton and I had met for a long time. Winton on the left, Neil right. This was the first time that Winton and Neil had met. As I can and when I can, I am slowly bringing together the people in our little blogging village. Winton and I were co-editors of Neucleus, The University of New England student newspaper. 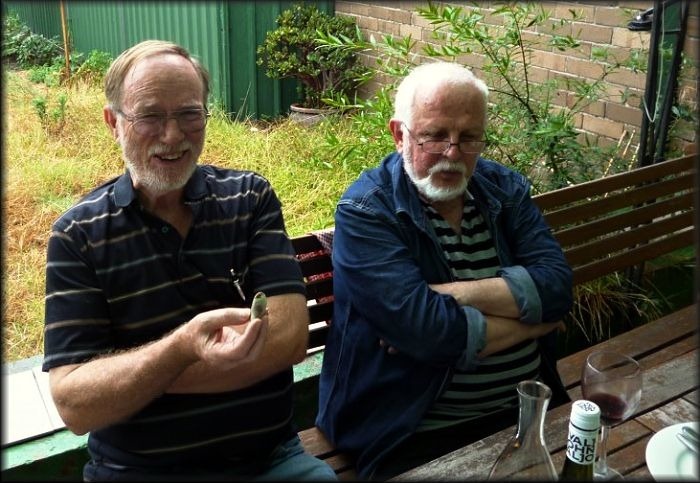 Neil and I met as bloggers via the death of Australian playwright Alex Buzo. As you might expect, it was a wide ranging conversation that gave us all great pleasure. Very pleasant day, despite the weather – but even that was better than the 46C we had recently! This entry was posted in Australia, blogs and blogging, friends, other bloggers, photo post, Wollongong. Bookmark the permalink. I Am A Page Three Celebrity Now!